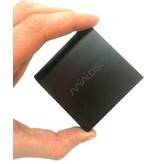 Een unieke USB audio interface: 24 bits, 192Khz, multi channel! USB in, Toslink / I²S uit. En dat alles in een kek aluminium kastje. 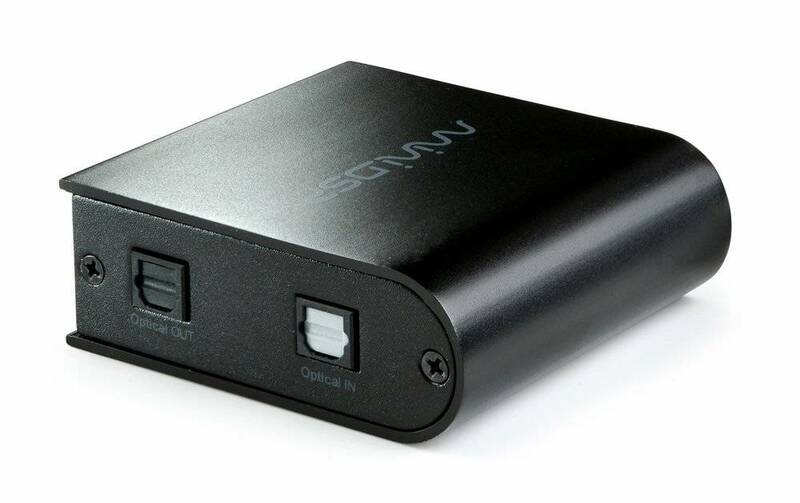 The USBStreamer B is a miniature multi-channel USB to ADAT/Toslink interface with native support for audio files format up to 24bit/192kHz. 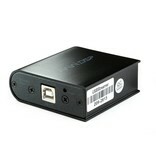 Operating in ADAT or Toslink depending on the loaded firmware, the unit is versatile and very cost effective. In the ADAT mode, the USBStreamer B makes the retrofit of outboard DAC/ADC interfaces a child's play. A simple firmware update and one can enjoy streaming of stereo (Toslink) audio over the same optical connector. 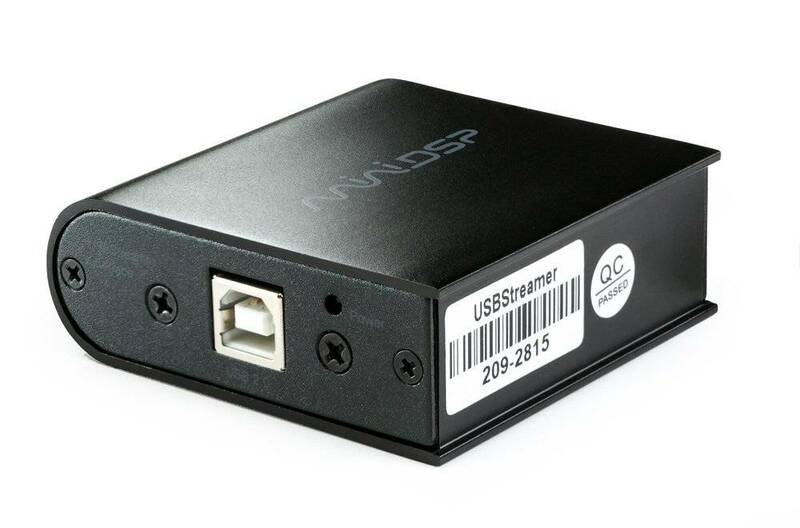 The USBStreamer utilizes high speed USB2.0 along with the Audio Class 2.0 implementation to simultaneously provide up to 8channels of playback along with 8channel of recording over the ADAT standard. 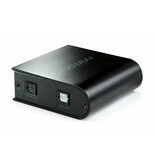 The unit is USB self powered and installed in a matter of seconds with compatible ASIO drivers for both Mac/Windows platforms. 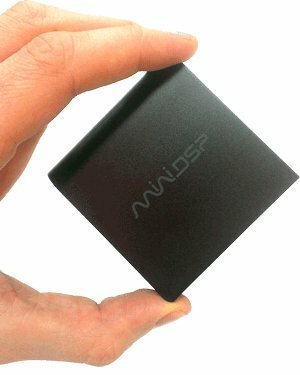 An easy and flexible system integration that follows the footsteps of the miniDSP product line.